On Friday, August 6th, I made it up to Long Beach for the Perform Better Summit. Yes, this is the second summit I attended this summer. Honestly, I really can’t get enough of learning from the people at these events or meeting up with friends who I don’t get to see that much. With the season coming up, continuing my education during the summer months is a priority. At these seminars, I think it is important to not only pay attention and take notes, but more importantly to bring the information home with you and take action with applying the information that you learned. 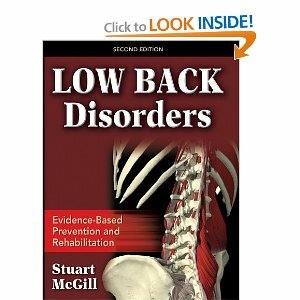 – Stuart hates squatting with a stability ball between the legs. This immediately inhibits the glutes. (From my earlier posts, you can see that I agree with Stuart on this as well). – Exercise ideas- “Stir the pot”, and suitcase carries for Q.L. – Be more regimented. Know exactly how your day will go. – Assess when you are at your best. Gray Cook- I think Gray is an excellent presenter and one of the smartest guys I’ve ever listened to. I really believe that the movement screen (FMS) is a good tool. I know that there are some people out there with negative views on the FMS, but I really think it is something that can give us as strength and conditioning coaches- (especially those in the team environment) valuable information. I am the type of strength and conditioning coach who looks at things from a perspective of trying to maintain the health of our players. 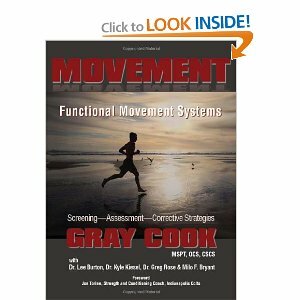 By the way, if you haven’t picked up his new book Movement: Functional Movement Systems: Screening, Assessment, Corrective Strategies, you should- I am currently reading it right now. There you have it. I stayed for a day and a half as I had to make it back to Orange County to train with a client on Saturday morning. Although I wish I got to stay longer, I feel that the information that I got from both summits in Providence and Long Beach was enough to keep my head spinning with new ideas and concepts for a long time. Good post. Sorry I didn’t meet you in Providence. Would’ve liked to chat. Good luck this season. Thanks Bruce!- I am sure we will connect in person soon. Thanks for reading. Great post Sean. Sounds like the LB summit was just as good as the Providence one. Good luck with camp.